1. Creates artwork in each of the following areas: drawing and painting. 2. Demonstrates proper care and use of art materials and art room. 3. Points out divisions of space in artwork as foreground, middle ground and background. 4. Describes how size, colors, lines, shapes and textures are organized in artwork to create a focal point or center of interest. (Emphasis). 5. Describes intermediate colors as red-orange, yellow-orange, yellow-green, blue-green, blue- violet, and red-violet. 1. Creates artwork using implied texture in two dimensional shapes and actual texture in three dimensional forms. 2. 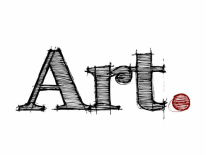 Produces artwork in the areas of sculpture, printmaking, crafts, fiber arts and mixed media. 3. Associates artwork of a particular style with the culture from which the work was produced. 4. Explains selected works of art as characteristics of the historical period in which each was produced. 5. Examines other individuals’ reasons for preferences in artwork. 6. Creates sculpture by construction and by modeling. 1. Creates artwork by direct observation, intermediate colors, descriptive, directional and expressive lines, space (middle ground, foreground and background), value (tints and shades), balance (symmetrical and asymmetrical) and emphasis. 2. Applies concept and ideas from other disciplines and their topics as sources of ideas for own artwork. Tie in IB unit for third grade; Rocks and Minerals. 3. Discusses the purpose and function of art in today’s world. 5. Examines other individuals’ reasons for preferences in artworks. 1. Recognizes value as the lightness or darkness of a color. 2. Compares and explains descriptive, directional and expressive lines in artwork. 3. Explains how texture is used in two- dimensional shape and three-dimensional form. 4. Places selected art reproductions in chronological order based on information (clues) within the artworks. 5. Gives examples of how technology has influenced the creation of art.